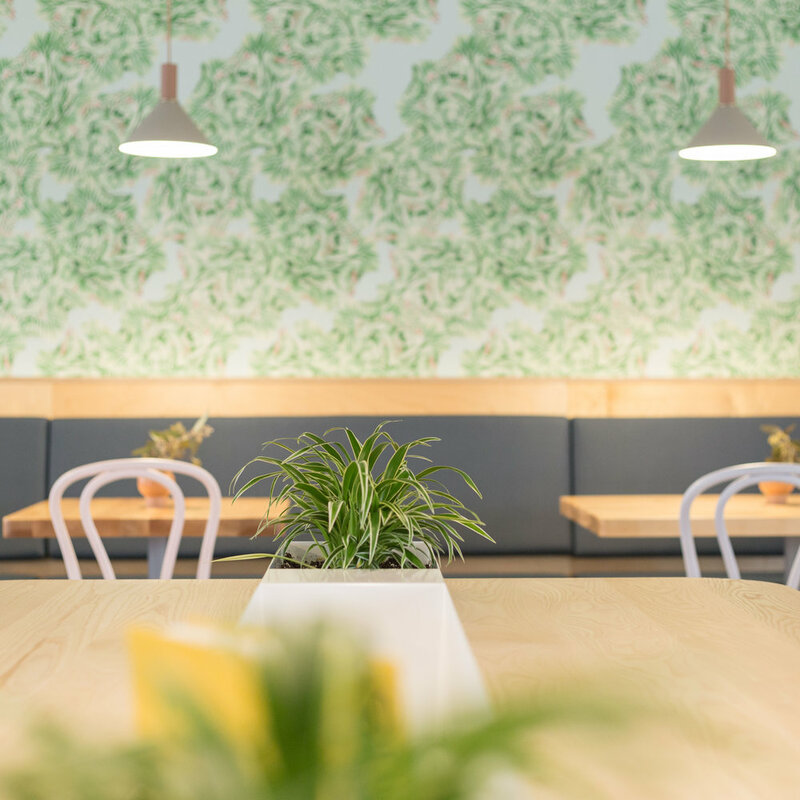 Photography: Cameron Bartlett, Ruby Social Co.
Say hello to Mary Be Kitchen, AKA your new favourite spot. Joining the ongoing Yonge and St. Clair neighbourhood revitalization here in Toronto, Mary Be Kitchen is on a mission to deliver whole food for the soul in a stylish and welcoming place (let's talk about the custom cabbage wallpaper - how fabulous!). Think: all-day fast-casual, offering with both eat-in and take-away options. 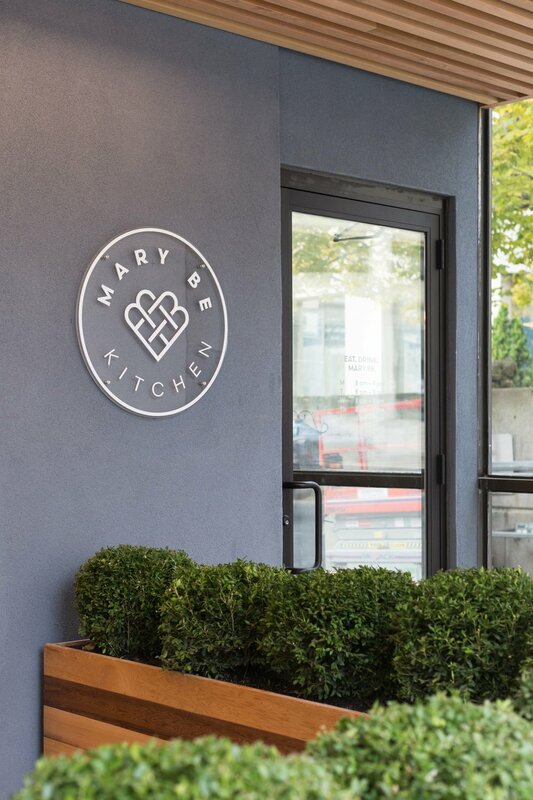 The Mary Be Kitchen menu is centered around a seasonally rotating list of scratch-made vegetable and grain-based dishes and grilled proteins from which guests can choose to build a customized, satisfying, delicious, wholesome meal. An honest square meal; the kind of food we’d all cook at home, if only we had the skills, time, and resources needed to do so. Breakfast, lunch, dinner and weekend brunch are available to eat-in or take-out. The menu will be complemented by local wine and beer, organic kombucha, and housemade agua fresca and lemonade, all on tap. In addition to the feature menu, a café program — in partnership with Pilot Coffee Roasters and Genuine Tea — is ideal for professionals and creative types looking for a place to plug in their laptop or have a quick meeting over a cortado and a freshly baked banana-oatmeal muffin. We dish out an uncomplicated way to eat and be healthy. Forget about activated charcoal smoothies and probiotic elixirs. Designed by Reflect Architecture (Wilbur, Quantum Coffee) and constructed by BUILD It By Design, the 1,400 sq. ft. dining space will seats 45 guests at a mixture of small tables, bar seats, a cozy booth fronting St. Clair Avenue, and a large outlet-equipped harvest table. The contemporary light-filled space — with sloped ceiling features, playful tilework, greenery, and pops of sea blue and pale pink — is a fresh addition to the Yonge and St. Clair neighbourhood. There is also covered patio seating at the front of the space, which will be the perfect little hideaway come spring. Sarah Huggins is a self-taught chef, recipe developer, food photographer, and the voice behind the award-winning food blog, Kiwi & Bean. After spending 10 years building her career as a lawyer in New York and Toronto, Sarah is returning to her roots. 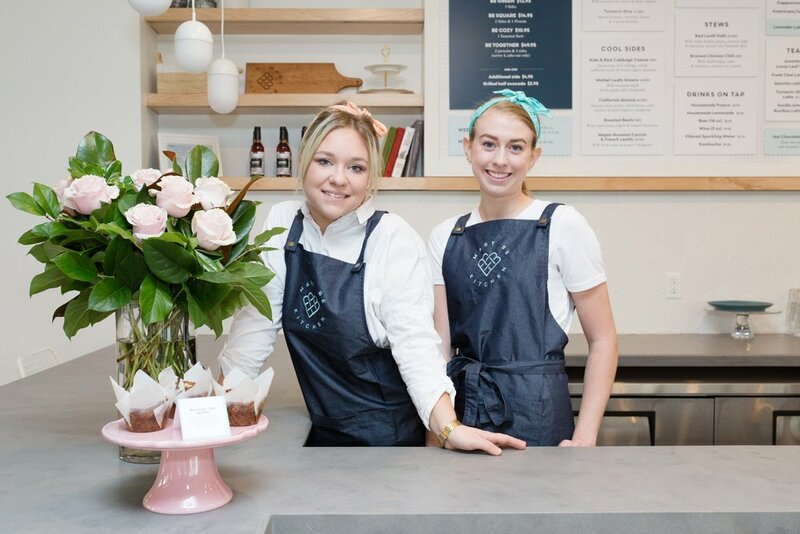 A lifelong advocate for back-to-basics, healthy, and delicious food, Sarah has chosen to pursue these passions full time through the creation of Mary Be Kitchen.